It’s true: it can be lonely at the top. But the CEOs honored in these pages don’t believe in isolation—they use their leadership to bring together teams, to support and mentor junior executives, and to reach into the community. While being the one to make tough decisions is, at times, painfully difficult, our 12 CEO of the Year recipients take a collaborative approach in order to ensure their decisions have the support of company leaders and employees all through the ranks. Join us in paying tribute to these remarkable chief executives. John Lund took a job at America First Credit Union in 1975—and never left. He began working as a clerk for the credit union while he was in school, but stayed after graduation. There were always opportunities to learn new things, he says, and he steadily advanced up through the organization. Lund was named president and CEO in 2012. That long-term perspective has propelled the credit union to a dominant position. With 125 branches in Utah and Nevada, it boasts over 918,000 members. It’s the No. 1 credit union in Utah, and it’s the 10th largest credit union in the nation in terms of assets, says Lund, and the sixth largest in terms of membership. One reason for that success is the credit union’s commitment to staying at the forefront of tech innovation. America First was only the second credit union in the nation to launch Apple Pay. It also developed a security tool called Card Guard, which gives members control over when and how their credit, debit or ATM cards are used. Over half a million America First members use online banking, and 350,000 members use mobile banking. “John has a good technological background, and I think he is able to communicate with the techies of the organization and those of us who are not quite so technologically adept. John can simplify technical concepts and make them easier to understand,” says James Wendler, chair of the board of America First Credit Union. Lund was an executive vice president when Wendler first joined the board 25 years ago, so Wendler has a deep perspective on Lund’s leadership at America First. For most of his life, Scott Beck thought he would follow in his oncologist father’s footsteps and become a doctor. 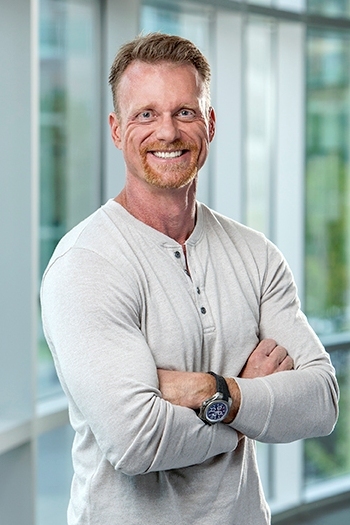 At the University of Utah, Beck took some marketing and business classes and fell in love with entrepreneurship instead—but he never stopped wanting to work with physicians and in healthcare. Beck went to work at CHG Healthcare in 1999, a company that recruits and places healthcare providers in areas they are most needed, and served as CMO, group president, COO—and finally, CEO. 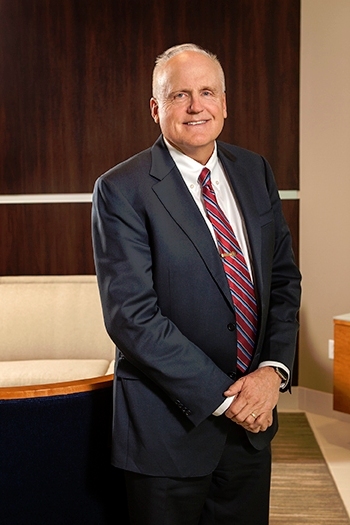 CHG Healthcare has thrived under Beck’s leadership. It has expanded internationally, surpassed $1 billion in annual revenue, and placed 14,000 providers across the country and internationally, in every state and specialty and in five foreign countries. This has provided healthcare to over 26 million people, says Beck, and is an achievement he takes particular pride in. Also impressive is CHG’s employee retention rate: 84 percent, far above the 50 percent average for the healthcare industry. Beck attributes that loyalty to the fact that, at CHG Healthcare, employees are first—even above customers. Beck says he didn’t realize the importance of people and culture until after getting his MBA—“nobody talked about building a connection with purpose,” he says—and began working. It was then he realized that creating a work environment built on “trust and helping people reach their full potential” is what leads to the best success. For example, during the Great Recession, Beck says the company brought employees together in small groups to brainstorm about how to “tighten our belt and save resources … so that we could keep the family together.” After the recession, Beck saw the return on CHG’s investment in taking care of their employees by how many stayed with the company and helped it grow through its expansion. “I think it really cemented this idea that putting people first isn’t just something we say or an emblem on the wall, but it’s something we believe and we use it to guide the decisions that we make inside of CHG,” he says. 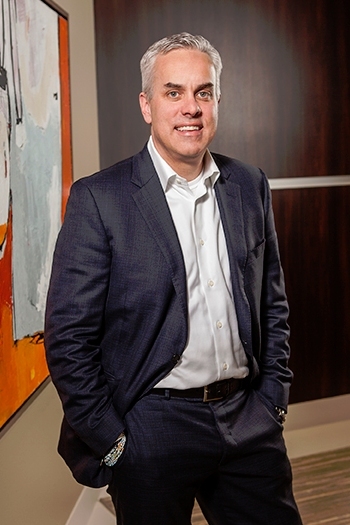 Since Zurixx’s founding in April 2012, Carlson took on the role of CEO and has never looked back. The company has received nine recognitions over the past two years for exponential revenue growth, including being named the No. 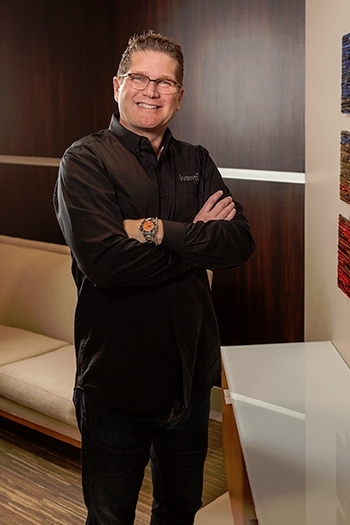 1 fastest-growing company in Utah Business’ Fast 50, and the No. 43 fastest-growing company of the Inc. 500 in 2016 with $130.1 million in revenue. And while Carlson is often in the difficult position of making tough business decisions, says Spangler, he remains interested and involved in the lives of his employees, making sure they have what they need—be that the funds and time for continued education or even for cancer treatments. When Hurricane Maria hit Puerto Rico in late 2017 (and thus, Zurixx’s Puerto Rico office), Carlson brought all 15 Puerto Rico-based employees and their families to Utah as soon as he could, while he went down to Puerto Rico with suitcases full of batteries, food, flashlights, generators and other goods. “When he sees opportunities to help out with different individuals within our organization, he’s very good at jumping in and making sure that that happens,” says Spangler. As a company, Zurixx has given over $2.2 million to various organizations in the community such as Courage Reins and The Road Home. CEO and Director, FireFly Automatix, Inc. When Andrew Limpert was a child, he and his friend Steve Aposhian would play baseball together—with no idea that later in their lives, they would work together on a turf harvesting agricultural technology company: FireFly Automatix. 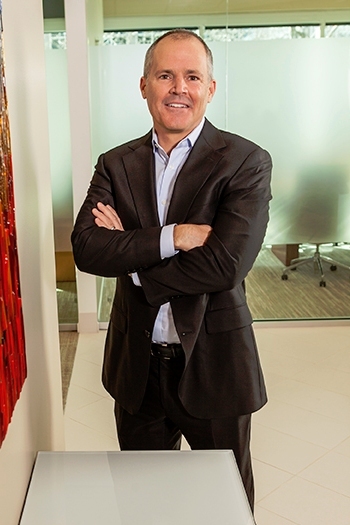 Limpert’s career path was in investment banking, where he was happy being what he calls “mostly retired.” In that role, he founded, consulted on and funded many business ventures, and provided strategic financial consulting for several investment banks. He also served as the CFO at Profire Energy for eight years. But when his old friend Steve called him up in September 2015 to tell him about his technology company and ask for business advice, Limpert felt “called” to the business. As an investment banker, Limpert knew to expect that turning FireFly from a small, struggling technology company into a profitable AgTech leader would take “twice as long and twice as much money as you think,” he says. “Andrew brings the kind of experience and vision needed to help an innovative product not just gain a foothold within a competitive industry, but also to dramatically increase its market share,” says Gov. Gary Herbert. Even aside from his business savvy, it’s the care Limpert puts into developing and cultivating relationships with people that makes him such an effective leader, says Matt Aposhian, Steve’s brother and president and COO of FireFly Automatix. 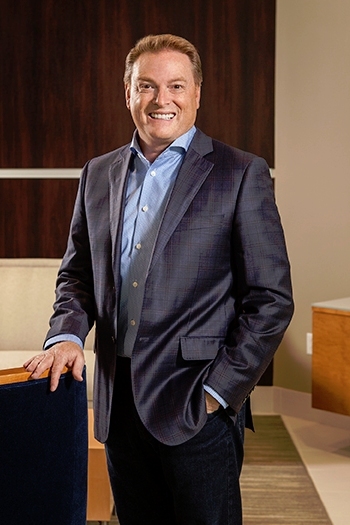 For Steve Daly and the company he leads, 2017 was a big year—and it was a year that topped off a half-decade of growth through strategic acquisition and new technology development. From 2012 through 2016, the company acquired six different tech companies. Then, in early 2017, Daly oversaw the formation of Ivanti through the merger of Landesk and HEAT Software in a deal backed by Clearlake Capital. The acquisitions were part of Daly’s strategic vision to unify IT and security operations to better manage and secure the digital workplace. That vision is paying off, with the company doubling in size by all measures: Ivanti now has more than 2,000 employees in 23 countries and serves over 22,000 customers in all industries. It has reached nearly $500 million in revenue, with a goal to hit $1 billion in revenue. Indeed, Daly embraces curiosity and intellectual exploration. He says he changed his major five times while he was in college, and during his career he has worked in roles ranging from mechanical engineering to marketing, sales and strategic planning. Ryan Westwood founded Simplus in 2014 and in less than four years has turned the company into a Platinum Salesforce Partner with Series A and B funding rounds under its belt. The company ranked as the No. 78 fastest-growing company in North America on Deloitte’s 2017 Technology Fast 500, and it more than doubled its workforce in 2017. 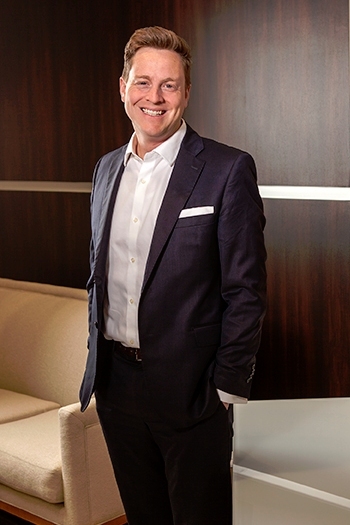 The key to Simplus’ success, says Westwood, has been a hyper focus on its market niche. “Some people think that as you get bigger, you have to broaden either your products or services. And there is a time for that. But I think especially for startups, you cannot be all things to all people. So we narrowed our focus, cut out about some services and revenue—about $1 million in revenue—and got hyper focused on only one market, and that’s what’s got us to where we are today,” he says. Under Westwood’s direction, Simplus pared its focus down from three software vendors to just Salesforce—and then to a specific niche within Salesforce. “Within two months, we were all thinking, ‘Wow, that was a great decision,’” Westwood says. Simplus’ funding rounds have enabled it to grow through targeted acquisitions—beginning in the third quarter of 2016, Simplus began a buying spree that snatched up Salesforce ecosystem partners BaldPeak, EDL Consulting and Basati. The Series B funding round, which finalized in late 2017 and totaled $17.3 million, enabled Simplus to nab Salesforce heavyweight CRM Manager. Westwood is a serial entrepreneur—Simplus is his fourth venture—and Madsen says each endeavor was both successful and unique, from tech-focused PCCareSupport to an online floral company. “I’ve been impressed and surprised at how well he’s been able to spread the gamut and build all these companies into successes,” he says. When Chris Klomp left college with a degree in Economics, he embarked on a marvelous career at Bain & Company, transitioning to Bain Capital. He was a member of the firm’s private equity team, and he was really good at it. So Klomp left Bain Capital to help his best friends with Collective Medical, a company based around a software solution his two friends had developed. It was created to address the problem of patients who were accessing care at different emergency departments, without those EDs being able to coordinate, collaborate or even be aware of all the clinics where their patients were going. When Randy Hales was just starting his first job out of college, he had an extremely demanding boss. He flew all around the country, taking “airplanes like some people take buses to work,” he says. He would show up to work at 6 a.m. and wasn’t allowed to have a scrap of paper on his desk. While it was a strain then, says Hales, that experience of being held to a very high standard only helped him as he continued on with his career. Today, Hales still holds himself to that same high standard. While not employing the same tactics as his old-school boss, he enjoys coaching, training and mentoring those he leads, setting strategic direction and helping people mature into their roles. “The same way I had some great mentors early in my career, I love helping to influence others to have that same opportunity to grow and develop professionally,” he says. It’s perhaps that love of coaching that makes Hales so passionate about what he does: lend his business expertise to consumer product brands and help them flourish. “I’ve been very fortunate in my career. I’ve been able to go into these little companies that are just starting to grow, needing maybe a little extra leadership and extra guidance,” says Hales. 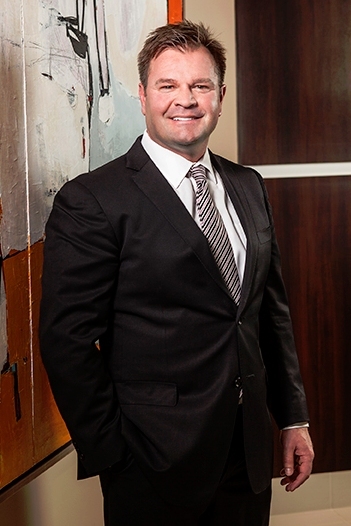 He was introduced to ZAGG in 2010, joined the board, and then became president and CEO in 2012. Since Hales has been at ZAGG, the company has enjoyed robust growth. ZAGG has made strategic acquisitions to diversify its product portfolio, including iFROGZ and mophie. While many in the industry were skeptical about the mophie acquisition, Hales and his team decided that mophie was a great brand that had been mismanaged from the operational side. Hales takes pride in the work ZAGG has done since the acquisition to bring mophie into the fold and recreate the brand. When Hales joined ZAGG, yearly revenues were somewhere around $170 million—in 2017, the company took in close to half a billion. He’s also instilling what Brian Stech, chief commercial officer at ZAGG, calls “a winning culture” at the company. For instance, Hales and his team promised employees that when cumulative revenue hit $1 billion, they would build a new, state of the art office building. It was a big milestone that took nearly a decade to achieve, says Hales. But more impressively? The company’s second billion was achieved a mere 24 months after its first. And their new office building is indeed much beloved by employees. When Böhme, a self-proclaimed “numbers queen,” took the reins a decade ago, the women’s apparel company was just a temporary location during the holiday season at a local mall. 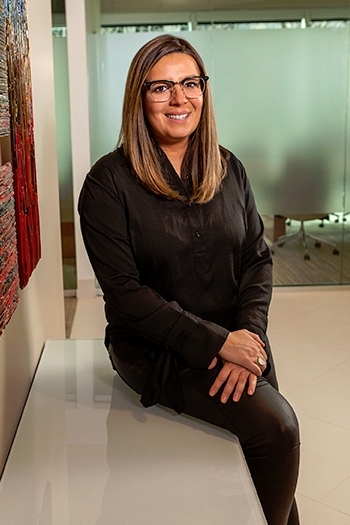 But encouraged by the success she saw during those weeks, Böhme went to Home Depot and learned the basics of everything from flooring to fixtures to build the company’s first permanent location. Today, the business has 16 locations throughout the West and Midwest, as well as a thriving online presence, and boasts 30 percent in gains, 20 percent of which comes from brick-and-mortar growth. When Joel Clark was 8 years old, he was a fixture in the neighborhood, selling lunch sacks filled with his mother’s pancake mix to neighbors. “She always thought there was a market for more healthy products, but this was the ‘80s, and there were some but not as many,” Clark recalls. When Clark was in college, his brother started Kodiak Cakes, but offered the reins to Clark a couple of years later. Surprised but interested, Clark jumped at the opportunity. The next 16 years would prove to be an exercise in grit as the company grew with agonizing slowness to its first million, and was bootstrapped every step of the way. A turning point came in 2014, when the company got two major shots to the arm: an appearance on Shark Tank and the launch of the high-protein line of pancake mixes called Power Cakes. The former brought explosive new visibility, while the latter quickly became the No. 1 selling mix in the stores carrying it and made Kodiak Cakes the fastest-growing pancake mix company in the country. 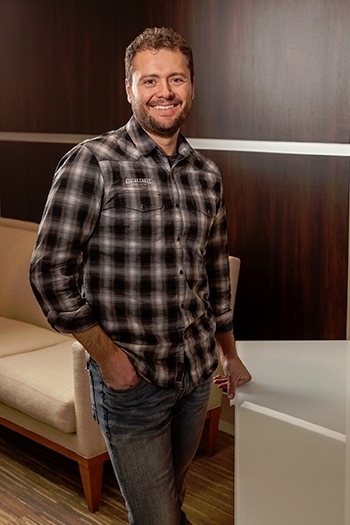 Cameron Smith, COO of Kodiak Cakes who has been with the company for nine years, says Clark’s willingness to get feedback from all levels and his obvious care for the people around him is the epitome of strong leadership and has helped Kodiak Cakes find success. “Joel loves collaboration. He loves everyone’s ideas, everyone’s thoughts. Since the beginning, it’s been always about brainstorming. He’s never been a top-down leader,” says Smith. On a day when the mountains are blanketed with a fresh coat of white powder, you won’t find Nathan Rafferty or anyone else from Ski Utah in the office—they’ll be hitting the slopes, practicing what they preach. Rafferty’s passion for the sport and the industry built around it is obvious, which is part of what has made him so effective at promoting the state and the ski industry to locals, the nation and the world. The Utah native has always felt most at home on the slopes, and was pleasantly surprised to learn that there were careers in the industry. 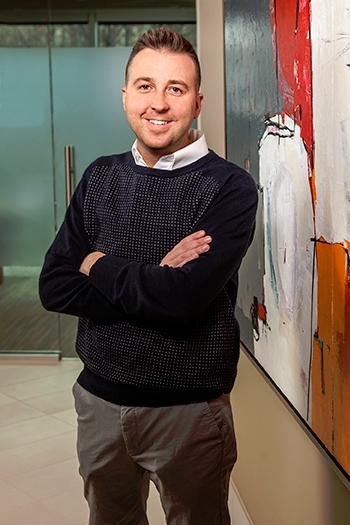 In 1994, he started at Ski Utah as an unpaid intern; when the previous president and CEO of Ski Utah stepped down in 2005, Rafferty had worked his way up through the nonprofit and was ready to take the reins. When Mircea Divricean worked as a counselor Camp Kostopulos one summer during college, he thought he was just there for a job. But one summer became two, and two became three. After graduating with a degree in finance, Divricean spent a year working in finance before realizing that something was missing. “Something was just holding me back. Something just wasn’t fulfilling enough for me. It would have been great career path. I got into a great bank and it would have been a phenomenal opportunity, but there was a little bit of an empty spot not connecting to or being part of this beautiful ecosystem at Camp K,” he says. Divricean returned to Camp Kostopulos in 2001, this time as a full-time employee, and climbed the ranks until being named president and CEO. But through the years—and Divricean will mark 20 years this summer since first stepping onto Camp K—one thing has remained unchanged: the inspiration from the people the foundation serves. Although he doesn’t strictly work in the financial sector, Divricean’s education hasn’t gone to waste. With the foundation’s financials on public display and donors wanting to make sure every hard-earned dollar is helping as many people as possible, Divricean says his background has proven to be invaluable in helping him make the organization flourish and grow. 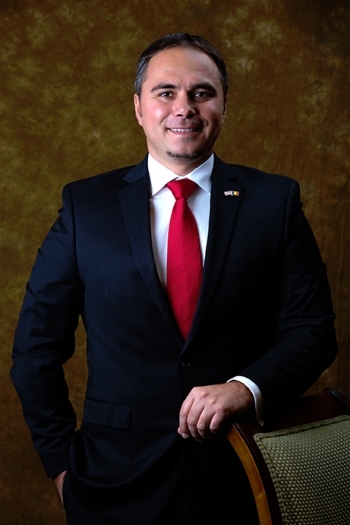 Since assuming the top job nearly five years ago, he has expanded new and existing partnerships and government contracts, but his primary goal is in improving resources and assistance for the participants in the Kostopulos Dream Foundation’s programs.